Human diversity is what makes this world so fascinating : so many cultures, lifestyle, traditions, religions, styles of architecture and languages. 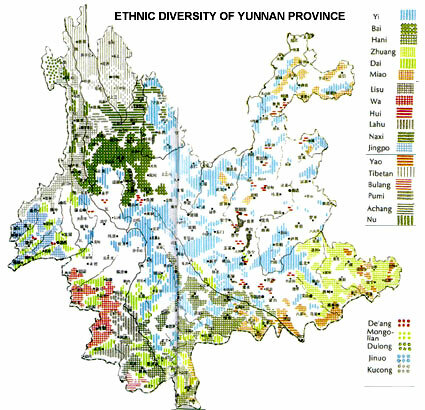 These 3 maps illustrate the geographic distribution of ethnic groups at continental scale, national scale (China) and local scale (chinese province of Yunnan). Governments often see this cultural diversity as a threat to national unity. 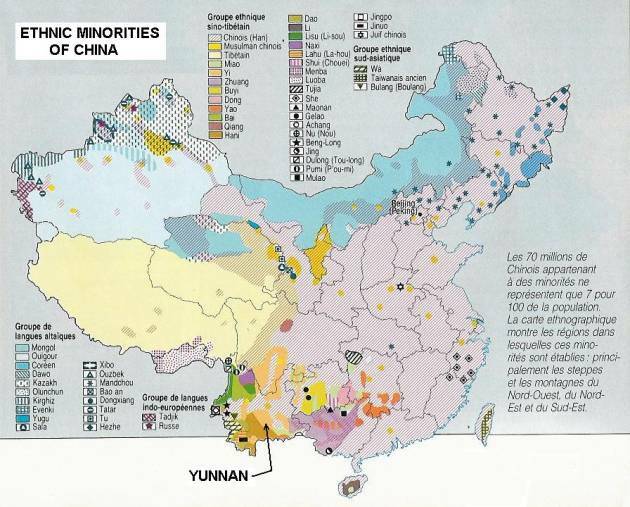 In many countries, so-called minority or regional languages are at the best tolerated but discouraged and at the worst forbidden. In China, a Miao person from a tourist office told me about the Miao people (an ethnic group in Guizhou province) : " the children only learn chinese at school". He added with a sad look "that way we will all be the same, no more rebellions", referring to the many times in history when Miao people revolted against central Han administration. Centralist governments are afraid that regions with their own cultural heritage will develop some hopes about independence if their culture is preserved. Assimilation is their solution. Many languages will disappear from the world, either because of repression or from lack of support from the authorities. When a government chooses not to help schools that teach in a language, not to sponsor events or TV programs in a language, that goverment is contributing to the decline and the extinction of that language. Once a language is dead, it is gone. Just like an extinct animal species, it cannot be revived. It is part of mankind's heritage that is lost. 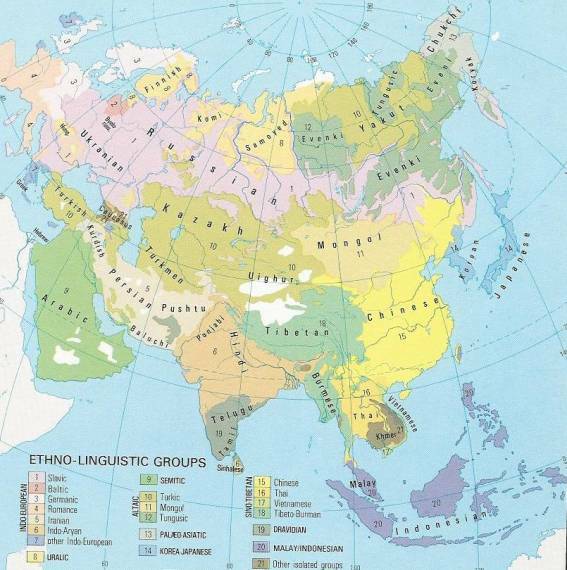 The chinese governement is not the only one with policies that favour the dominance of the national language to the detriment of regional languages. While it prides itself to be a defender of human rights, the french government still has not ratified the European Charter on regional languages. The government say we should all be equal and able to communicate in the same language. Fair enough, but it is well known that one can easily learn two languages during childhood, and it is even a great chance to do so. In the meantime, the french government claims that it is necessary to defend the french language against "english hegemony" in the world , but what about "french hegemony" in France, which, whatever image the government wants to show, is a multicultural country ?